Nestled on the beach, this Blairgowrie hotel is within a 15-minute walk of Blairgowrie Beach and Rye Beach. Sorrento Front Beach is 1.6 mi (2.5 km) away. 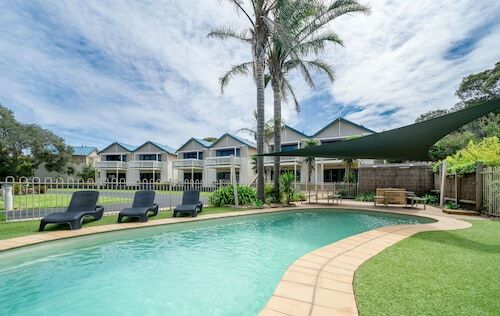 Situated near the beach, this vacation home is within 1 mi (2 km) of Blairgowrie Beach and Rye Beach. Sorrento Front Beach is 1.9 mi (3.1 km) away. 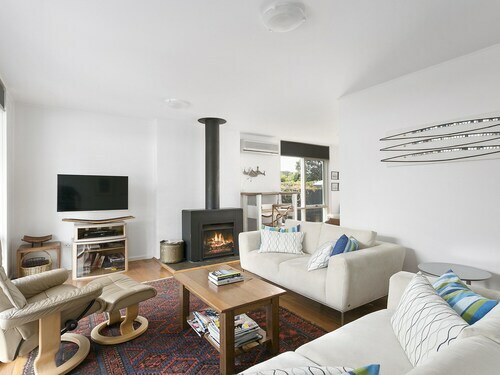 Located near the end of the pretty Mornington Peninsula in the state of Victoria, Blairgowrie is a charming seaside village within easy reach of laid-back and cultural Melbourne. Popular with domestic tourists and foreign visitors alike, there’s a good selection of Blairgowrie accommodation to suit all tastes. It is still quieter though than many other places on the peninsula, meaning that you can enjoy a relaxing break away from the masses. The village is named after a town in Scotland. If it looks a little familiar to you, you may very well have seen the village before – it has featured on many different travel programs and documentaries. The beaches in and around Blairgowrie are some of the best in the whole of Victoria. A major draw to the area, you can enjoy relaxing on the sandy shores, swimming in the sea, and exploring rolling sand dunes. Discover your own little secluded cove and relax in peace and quiet. The small reefs are teeming with marine life. Boating is also popular – take to the waves, shout "ahoy there!" and be your own captain for the day! Climb the craggy cliffs for incredible sweeping views of the ocean and village. There are a number of great walking tracks to where you can enjoy the crisp and fresh sea air as you explore. Mornington Peninsula National Park is also close by, offering even more fantastic walking opportunities as well as excellent nature spotting. There is a good selection of places to eat and drink and the main shopping area can be found on Pt Nepean Road. 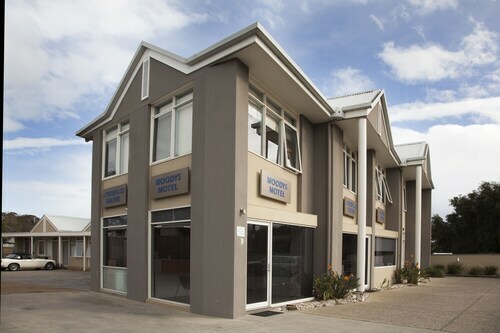 Arranging a flight to Melbourne is the easiest way to get to Blairgowrie, and you can book your flight and Blairgowrie hotel at the same time for total convenience and peace of mind. As Blairgowrie is a fairly small village it is easy to get out and about by foot. How Much is a Hotel Room in Blairgowrie? Hotels in Blairgowrie start at AU$110 per night. Prices and availability subject to change. Additional terms may apply. Good location, great use of space in the room...#8 the kids really loved the spa bath. We didn’t need or want for anything, everything we needed was at our finger tips, a home away from home, will be back again and will recommend to others. A refurbished genuine beach house, far enough away from the Nepean Highway that traffic and noise are not a bother. Obviously someone's ongoing holiday home which means it has a great "homelike feel" that commercial rentals don't have. About 160m from the beach, and a few hundred metres from the Blairgowrie shops. Bedroom 1 and 2 mattresses were unusually high and unusually firm, but I guess that's a matter of personal preference.